* If a coaching program has already started, the coach will work with you as necessary to catch up. I, by typing my name above, clicking "Accept Waiver" below, and submitting this application, am aware that participating in the REVEL Online Coaching Program is a potentially hazardous activity, and that I should not so participate unless physically able. I verify that I am medically fit to participate, and will have sufficiently trained for the event prior to participation. I agree to abide by the rules and decisions relating to participation, and assume all risks associated with participation in the event and any associated event or activities, including but not limited to, falls, injuries, contact with other participants, effects of the weather such as high heat and/or humidity, traffic, road conditions, all such risks being known and appreciated. THIS WAIVER AND RELEASE is made by the individual whose name is typed below in favor of REVEL Racing, REVEL Race Series, Brooksee, LLC, and all of their officers, directors, employees, coaches, contractors, independent contractors, agents, sponsors, volunteers, promoters, administrators, successors and assigns (referred to collectively as “the Released Parties”). In consideration of participation in the REVEL Online Coaching Program, and intending to be legally bound, I hereby assume all responsibility for and all risk of any damage or injury whether to property or person, including death, that may occur in connection with the REVEL Online Coaching Program. I hereby release, waive, discharge, covenant not to sue, and agree to indemnify and hold harmless for any and all purposes the Released Parties from any and all liabilities, damages, claims, demands, or injuries, including death, that may be sustained by me resulting from or arising out of my participation in the training program, INCLUDING ANY SUCH DAMAGES, CLAIMS, DEMANDS, OR INJURIES, INCLUDING DEATH, CAUSED IN WHOLE OR IN PART BY THE NEGLIGENCE OR OTHER ACT OR OMISSION OF THE RELEASED PARTIES, OR BY A PRE-EXISTING DEFECT. I understand that this agreement to indemnify and hold harmless does not apply to injuries caused by intentional or grossly negligent conduct. I understand and agree that this Waiver and Release shall bind my heirs, assigns, successors, and personal representatives, including a spouse and members of my family, and shall be governed by the laws of the State of Utah. I understand and acknowledge that I may be waiving important legal rights by execution of this form, and acknowledge that I have had an opportunity to review this form with counsel of my choice. I have read this agreement carefully, understand it, and certify my agreement by typing my name above. What do I get from the REVEL Online Coaching Program? When you register for REVEL Online Coaching, you will be asked to complete a Runner Profile. Your profile will go directly to your REVEL Coach, who will use that information to evaluate your progress throughout training. Before your training begins, your REVEL Coach will contact you to make an introduction, to provide contact information for you to reach your Coach, and to provide any additional instructions for your training preparation. Your training plan will be available after logging in and visiting the Training Center section on the training page. You will receive a schedule that will include your daily workouts, weekly targets, and overall strategy for that training cycle. Your REVEL Coach will send weekly e-mails to you with instructions for the following week's workouts. These e-mails will remind you about the objectives of your specific training cycle, will explain the overall workouts goals for each of your workouts, and will include tips on how to translate key concepts into preparation for downhill racing. Finally, you will receive a high-quality tech shirt as part of your coaching program. The shirt will be mailed to you approximately one month before your scheduled race. This shirt will be given in addition to the actual race shirt that you will pick up at the expo. Wear it with pride during your race! What level should I choose - Introductory, Beginner, Intermediate, or Advanced? The Introductory Half Marathon training is designed for runners who are attempting their first half-marathon, or are generally unfamiliar with a structured training program. The 12-week plan is intentionally developed with fewer weeks of training, less intensity and overall distance, and a more gradual approach to preparing for the half-marathon distance. The Beginner Half Marathon training is intended primarily for runners who are relatively new to distance running or who have never attempted a half-marathon before. Some runners choose the Beginner level when they are returning from a long period of non-running or are recovering from injury. The Intermediate Half Marathon training is intended for runners who are comfortable with the half marathon distance and perhaps even have run a marathon before. Compared to the Beginner level, the Intermediate level includes higher weekly mileage and longer long run distances but does not include the intensity of the Advanced level. 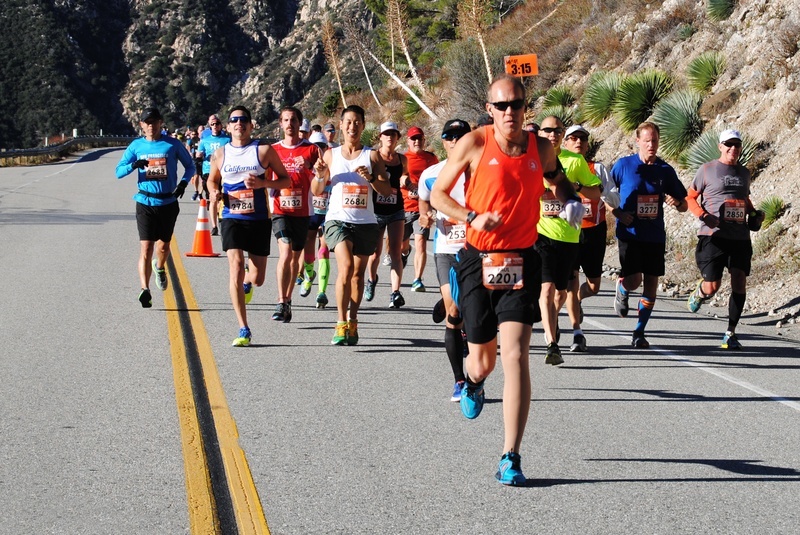 The Advanced Half Marathon training is intended for experienced runners who are comfortable training with a significant amount of mileage and intensity, and who are seeking a personal record at the half distance. The Introductory Marathon training is designed for runners who are attempting their first marathon, or are generally unfamiliar with a structured training program. The 16-week plan is intentionally developed with fewer weeks of training, less intensity and overall distance, and a more gradual approach to preparing for the marathon distance. The Beginner Marathon training is intended primarily for first-time marathoners, although plenty of veteran marathoners have followed the Beginner level to prepare for a marathon after a long layoff from running or an injury that requires them to slowly get back into marathon fitness. 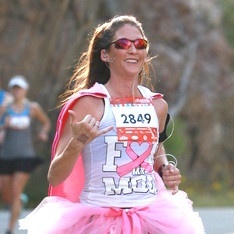 The Intermediate Marathon training is intended for runners who have completed at least one marathon. It is similar to the Beginner training, but includes higher weekly mileage and long run distances. The Advanced Marathon training is intended for experienced marathoners who are comfortable training with a significant amount of mileage and intensity. The Advanced training is recommended for runners who want to attempt to run a personal record or Boston qualifying time. Can I switch between Introductory, Beginner, Intermediate, or Advanced training once the programs are underway? Yes, but switching from Introductory, Beginner or Intermediate training to Advanced training is not recommended. The demands and intensity of the Advanced training are high, and rely heavily on the ability to sustain demanding levels of mileage and intensity over the total training period. Switching from Advanced to Beginner or Intermediate training, or from any level to Introductory training, should not be a problem at any point in the program. It is a step down in intensity and overall mileage. Whether you are training to run your first marathon or half-marathon, or you are seeking a PR or Boston Qualifying time, REVEL offers detailed and personalized coaching from our experienced and successful coach, Paul Carmona. 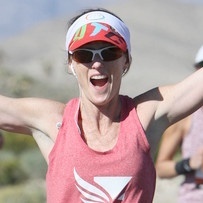 Using his own coaching methods that have proven successful for runners of all levels for more than a decade, our REVEL Coach will help you reach your goal using a 16-week half-marathon plan or a 24-week marathon plan, or shortened "Introductory" plans for first-time marathoners and half-marathoners. Coach Paul is an excellent coach, full of enthusiasm for running, racing, and coaching. I followed his advanced training plan for the REVEL Big Cottonwood Marathon, and I ran a 12 minute PR and my first Boston Qualifier! The training plan was a huge help to get me ready for a fast downhill race. I ran a Boston Qualifier at REVEL Big Cottonwood after training with Coach Paul's advanced plan for downhill racing. Coach Paul has trained me from my first marathon to my PR at REVEL Big Cottonwood. His coaching has helped me learn proper form, pacing, and preparation for downhill races. As a full-time, working mother of two, his effective and efficient training plans have enabled me to run 10 consecutive Boston Marathons while maintaining a busy schedule. I ran Boston Qualifiers at REVEL Canyon City and REVEL Big Cottonwood using the training plan by Coach Paul Carmona. The plan was designed for downhill, and prepared me for the blazing fast downhill courses! 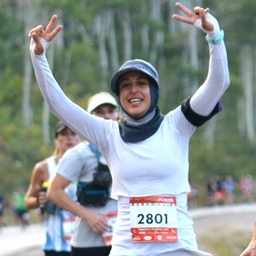 I have run REVEL Big Cottonwood Marathon without coaching. This year with online coaching, I was able to finish over 20 minutes faster than my PR and BQ times!ÃÂ I am thrilled to be accepted to the Boston Marathon after 2 years of qualifying and missing the cut off. This programÃÂ is masterfully and specifically designed for this race! I felt better and was more confident going into the race this time around. Investing in this program is simply the BEST decision I have made in a very long time! In my first downhill marathon (third marathon overall), I learned the hard way that gravity can both help and hurt.ÃÂ I crashed and burned after the first half.ÃÂ The next time, I followed Coach Paul's REVEL Advanced Training plan for Mt Charleston.ÃÂ I appreciated how quickly and thoughtfully he answered my questions, and the course-specific training plan made a world of difference.ÃÂ I PR'd by over 22 min and BQ'd by over 14 min.ÃÂ Boston, here I come! Coach Paul has set up a great program with a variety of workouts specifically tailored for the unique challenges of downhill racing. He has been very helpful as an online coach in answering my training questions and offering great tips for training and downhill racing. 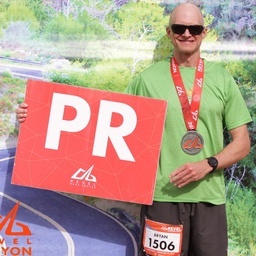 With Coach Paul's help, I returned to running after an injury and finished the REVEL Canyon City Marathon with a 70-minute PR! I never dreamed I could qualify for Boston or considered myself to be a fast runner. I was so lucky to have stumbled upon Coach Paul. His downhill training plan and quick response to all of my questions made my 4 month training zip by. As a busy working mom of three it was such a relief to have someone tell me what I needed to do to accomplish my goals. I loved the scenic course of Revel Big Cottonwood and ran a 10 minute PR and my first Boston qualifier! 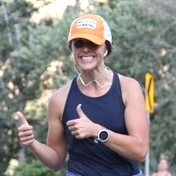 I signed up for the Revel Online Coaching Program to assist me in the training necessary to run my first marathon. Not only did I run the Big Cottonwood Marathon, I rocked it, qualifying for the Boston Marathon by 34 minutes! Coach Paul's plan helped me train for the downhill race using the proper form and technique to avoid unnecessary aches and injuries. Thanks Paul! See you in Boston! I have nothing but rave reviews for the Revel Personal Training. Paul has been an exceptional coach. He's helped me to both improve my athletic performance and achieve my personal goals-- for the first time, without injury-- during an entire training season. That, in itself, says a lot. I have really enjoyed working with Paul, and I'm looking forward to working with him again in training for my upcoming Boston Marathon in 2018. What makes REVEL Online Coaching Program unique? First, the program is a coached program. It is easy to find a generic plan in a book, magazine, or website that basically says "do this." By contrast, a coached program offers more: you will be coached by an experienced marathon and half-marathon coach who will work directly with you throughout the program, who will explain the purpose of every workout, and who will follow your progress throughout your training cycle. Second, the REVEL Online Coaching Program is specifically and uniquely designed for downhill racing. Your training schedule will include regular workouts designed to improve your efficiency and ability to race downhill. Third, REVEL's coached program will invite your feedback as you train, measuring your progress and helping you work through challenges. You can ask questions and get answers or advice about your race goals, your race strategy, race nutrition, training and racing gear, how to avoid or deal with injuries while training, and your overall training experience. A "training plan" from a website can't do that. Our REVEL Coach can and will do that. Fourth, our REVEL Coach has run every one of REVEL's races, and is familiar with the unique demands of downhill racing. He has run a Boston qualifying time on all of REVEL's courses, and knows the right training, pace strategy, and race planning that will help you succeed in your marathon or half-marathon. Finally, your REVEL Online Coaching Program will use a training plan that is specifically developed for your race. Instead of a one-size-fits-all "training plan," you will receive coaching that is designed especially for the course that you will be running. Your coached training will culminate in a pre-race lecture on course strategy at the race expo, where you can meet your coach and get last-minute tips on how to run a successful race. What type of workouts does the training include? If your personal schedule does not allow for workouts on any of the scheduled days, your coach will work with you to adjust your training plan to fit your own schedule. Answer will tell us that you are you human.